It is a race against time as paradigm shifting science resists the encroachment of modern life upon the world’s last nomadic hunter-gatherers. As a new article from Jeff Leach and his network of microbiologists is released (with evidence making leaps in proving the links between environment, diet and health), the existence of the very tribe who are the study’s focus is under threat. The Human Food Project has been working in remotest Tanzania, studying the people who truly align their lives within the flow and cycle of the seasons. Their way of life has been a magnet for researchers for 60 years, and the subject of hundreds of scholarly papers, because they may offer the closest resemblance to our ancient ancestors. Life in industrialised countries pushes nature to the fringes, not just in parks and reserves but also in our homes through sterilisation. What are the effects of being devoid of an authentic connection to nature, particularly to our own physical health? The concept that everything is connected can be perceived not just a purely metaphysical level, it is grounded in physical truth. Humans are able to walk, this gives us an illusion that we are separate from the Earth, which sustains us. If we focus our perception on scales that are significantly smaller than us, unification is obvious. Our blood carries the oxygen from the trees, our guts process the nutrients from the soil. Our bodies and specifically our guts are formed of millions of microbiotas. Types of microbiota include bacteria, archaea, protists, fungi and viruses. They pass through life’s flow; shaking hands, eating food, going to the loo, chopping wood, drinking water. Some of these microbiotas have creative tasks to do, some have destructive tasks to do, but each has a job that in turn, creates balance. Jeff’s previous work showcased that the more diversity in your microbiota, the more resilience your body (a fractal of the bigger ecosystems). These small microbes have a role to play in diseases such as obesity, autoimmune disease, heart disease, IBD/IBS, cognitive disorders, atopy and some cancers. Modern life has had an impact on all ecosystems and this is particularly the case of our microbiome. Pharmaceutical antibiotics and household cleaning products are unspecific to which bacteria they wipe out. Our food offers only the limited microbes that make it through the methods of food hygiene. Even in childbirth, a cesarian baby doesn’t pass through the mother’s birthing canal where their mother’s microbes would have been transferred. If it was a fight, microbiota would appear to be losing badly. But it is not a fight. Yet, in one remote corner of Tanzania, there is a tribe who are resisting being absorbed by modernisation. It is here, that the frontier of microbial science is being played out. The Hadza hunt and gather their nutrition direct from the ‘wild’ resources at their disposal. They live in synchronicity with the Earth, they hunt and butcher wild animals, they consume fruits, nuts and tubers, all grown in natural soils. From being breastfed — until they are four or five years old — they are immersed in the richest of microbiota diversity. The Hadza are more widely known as the people who speak in their ancient ‘click language’ and dance in tribal robes, but they now regular wear western clothes, speak Swahili and carry mobile phones. Although change is always imminent, it is a tragic story as hunter-gatherers are treated as ‘the bottom of the pile’ and are gradually being displaced by more politically and economically powerful settlers. Researchers are now warning that this tribe face a daunting convergence of threats. Their territory is being encroached by pastoralists whose cattle drink their water and graze on their grasslands and farmers clear the woodlands to grow crops. Simultaneously, the changing climate dries up the rivers and stunts the grass. These pressures drive away the animals that the Hadza hunt such as Antelopes and Buffalo. Simply put, if the food goes, the Hadza cannot protect their way of life. Ironically, the decades of research have now made the Hadza somewhat well-known and through Government efforts, tourism has increased. Coming with it are the microbes of modern life but more impactful; money. Some of the tribe have played up to tourism expectations and their way of life has become a novelty, putting on hunting shows and dancing in dress. Tourism has an impact on their livelihood, diet, residence, and nomadic patterns. Researchers who have been studying the tribe for several decades are worried about their future. As each day progresses, the petri-dish becomes more diffused. But more importantly, the researchers have a duty of care at a humanitarian level. 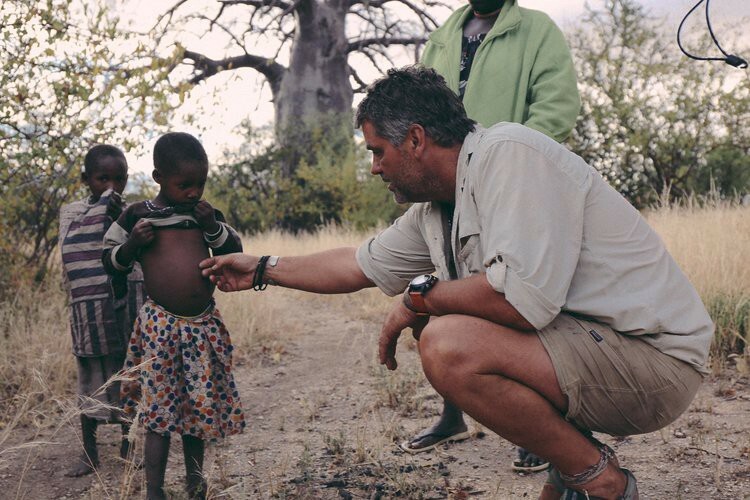 The work with the Hadza involves a great appreciation of ethics. Jeff and his team have joined the network of researchers who are vying to ease the pressures on this tribe and they work personally to assist in their needs where it is appropriate. If they are unsuccessful, there is potentially an awful lot to lose. In essence, the microbiome of a Hadza tribes-person can be considered as an endangered ecological site of great scientific interest and that needs to be preserved. Without it, we may irreversibly lose many of the microorganisms and never know how they could have helped humanity. 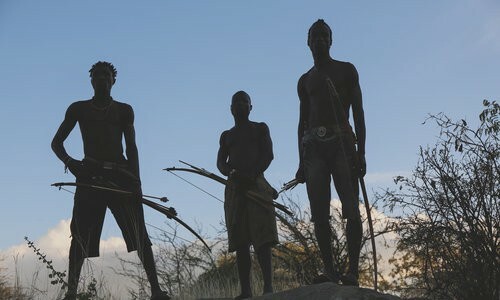 You can read more about the Hadza tribe from the article ‘Hadza on the Brink’ in Science and the article ‘Links between environment, diet, and the hunter-gatherer microbiome’ by Jeff and his network of microbiologists. Robert Reed FRSA MSc writes informative stories about the food sovereignty movement and environmental honour.